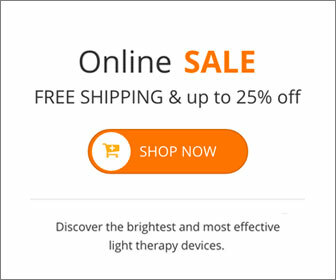 Alaska Northern Lights, founded in 1993, is a leading online retailer of light box therapy tools. While there may have been tweaks done to our original light box model, it is still the same design 20 years later, and continues to provide the same relief to those suffering from Seasonal Affective Disorder (SAD). In addition to treating SAD, our light box therapy products also help treat non-seasonal depression, sleep disorders and bipolar disorder. Research also suggests that light therapy can help with insomnia and jet lag, as well. Our company was started when Neil Wagner was looking for an answer to his wife’s debilitating health problems. After Mr. Wagner discovered that light box therapy relieved his wife’s depression and lethargy, he designed and manufactured the NorthStar 10,000™ light box that has been helping people ever since. Our customer feedback, as well as customer and medical referrals, all tell us that our light box therapy products are the best on the market. We are so sure of our product that we offer a full 100% refund of your original purchase within the first 60 days after the date of purchase. We are that sure you will love your light box and find that it offers you the relief you have been looking for. If you have been diagnosed with SAD, or if you suffer from the winter blues where you feel constantly tired, gain weight over the winter months and feel a little low, then light box therapy may be able to help you. It is believed that about 80% of those suffering from SAD will find improvement through light box therapy. Those are pretty good odds if you are currently suffering. We want to help you lift the depression that can come in the late fall and winter months. Light box works quickly and will have you feeling like yourself again within a week or two. This entry was posted on Friday, March 28th, 2014 at 3:04 am	and is filed under Light Therapy. You can follow any responses to this entry through the RSS 2.0 feed.